for image processing first step is get a proper sized image. and maximum time need many images resizing at once. it easy but take lot of time. so i made a programme to do that in a second, which u can get here with full source code. 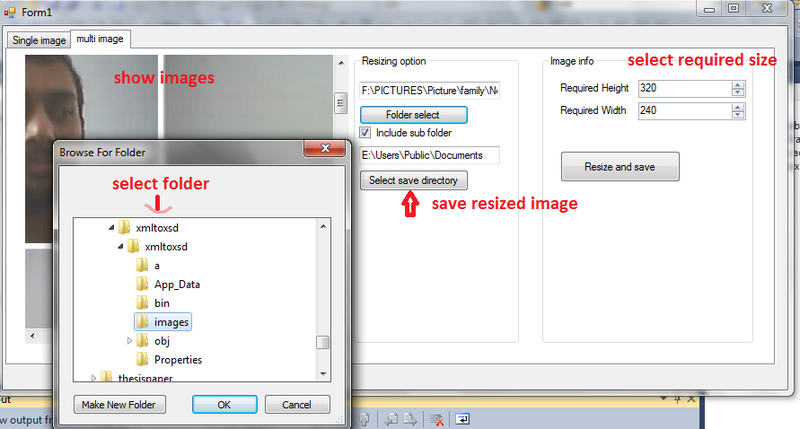 make a list of all images file from that folder including subfolder as user wish. This entry was posted in C#, Image Processing, Winform app and tagged all image from folder, C#, directoryinfo, fileinfo for images, folderbrowser, image resizing, multiple image, multiple image resizing, sub folder. Bookmark the permalink.